"A highly proficient and credible lawyer, but one that actually cares about you, your financial circumstances, and looking for the best options available to you. " by Ryan P.
When it comes to allegations of domestic assault or battery in Florida, the main objective of law enforcement officers and court officials is to protect the alleged victim. False and exaggerated claims in these cases are common. In many of these cases, the alleged victim becomes frustrated with the prosecution and wants the charges dropped. Prosecutors often fight to the bitter end, but if the victim doesn’t want to prosecute, they often have a very difficult time at trial. Therefore, it is important to hire a qualified attorney who can help you at every stage of the case. When it comes to domestic assault and battery accusations, there is enormous pressure on law enforcement and court officials to err on the side of protecting the alleged victim. Hiring an experienced domestic violence defense attorney in Tallahassee is very important if you have been accused of these crimes in Florida. The attorneys at Pumphrey Law know Florida’s domestic violence laws and have successfully defended clients facing these charges. Don Pumphrey and the firm have years of experience representing those charged with Florida domestic assault and battery offenses. The attorneys are devoted to protecting the rights of clients. 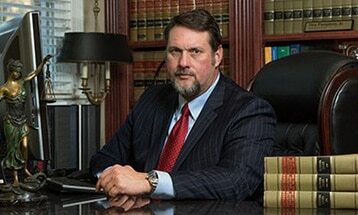 The attorneys will fight to get the best possible outcome for your case. At Pumphrey Law, the lawyers represent adults and juveniles accused of this crime in Tallahassee, Monticello, Midway, Bristol, Quincy and nearby areas. Call (850) 681-7777 or send an online message today to discuss your defense options during an open and free consultation with our legal team. Florida law provides additional penalties for assault and battery cases if the alleged victim is a person with which the accused has a family, household, or dating relationship. “Family or household” relationship means spouses, ex-spouses, other people related by blood or marriage, people who are currently residing together as if family, people who have resided together in the past as if family, and people who are parents of a child regardless of whether they were ever married. Except in the instance of parents of a child, to be considered family or household members the alleged victim and accused must be currently or previously residing in the same single dwelling unit, such as living in the same house or sharing an apartment. “Dating relationship” means a continuing and significant relationship of a romantic or intimate nature. In Florida, those accused of domestic battery are generally prosecuted under the standard assault and battery laws, with additional penalties and restrictions on those accused. You may also be charged with other offenses, such as domestic battery by strangulation, which is classified as a third-degree felony in Florida. What makes convictions for this crime different from other assault and battery convictions are the additional penalties, restrictions on those accused prior to trial, and social stigma. If arrested for these charges, you probably will not be able to immediately bond out of jail, you may be ordered to avoid contact with the victim, if you have a concealed carry license it will be suspended, and any arrest may be used against you in divorce or other family law proceedings. Domestic assault and battery cases are also NOT eligible for record sealing. Fla. Stat. § 741.283 gives a mandatory minimum of five days in jail for anyone convicted of a domestic battery that involved intentional bodily harm to the victim. A conviction for any domestic violence offense, even a misdemeanor, means you will be barred from owning guns for life by federal law. You will also be forced to attend an intervention program at your own expense, as required by Fla. Stat. § 741.281. An additional complicating factor is that is the decision of the State Attorney and the courts, not the alleged domestic violence victim, whether or not to press charges and follow through with prosecuting your case. However, if the alleged victim does not wish for the case to be prosecuted, this may be presented as a mitigating circumstance to the prosecution and the court. If you have been arrested for domestic assault or domestic battery in Leon County, contact Pumphrey Law to discuss the facts of your particular circumstance. There may be defenses to the charges you face, and finding an experienced domestic violence defense lawyer in Tallahassee who is familiar with Florida criminal law and procedure is your best option to avoid the penalties and social stigma that come with a domestic violence conviction. Related charges including child abuse or neglect, stalkingor cyberstalking, or interferring with a 911 call. The attorneys at Pumphrey Law will aggressively fight for your defense, and may be able to get your charges reduced or even dismissed entirely. Call us at (850) 681-7777 for your free consultation today. This article was last updated on Thursday, August 11, 2016.